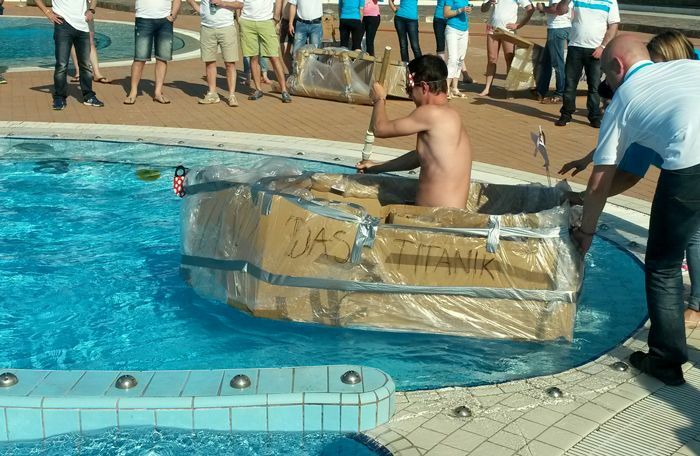 Are you looking for a truly unique activity for your next picnic or team building? Seek no further! Sink or swim is a fun activity where you’ll get to see who is a better captain and who the better diver. To build a ship each team receives materials and tools to build their ships in addition with help and advice by our animators. Each team has to carefully plan their ship and decorate it so that is truly seaworthy. When you’re good and ready we ceremoniously launch the ships, so don’t forget about a good and lucky name! Then it’s time for the competition – the skipper sits in your boat, tries to win the race and does his best to not sink your creation.